If you stand in front of a mirror and judge yourself, you’re not alone. 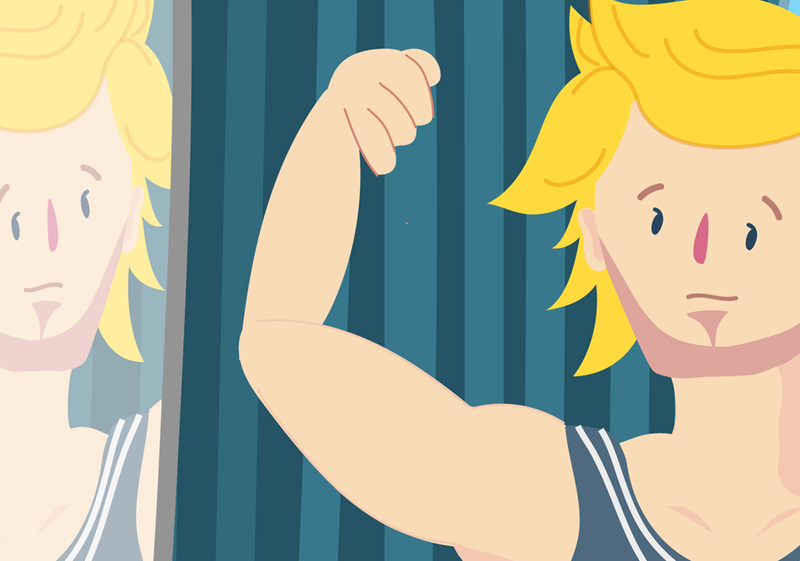 We’ve got some tips to help keep you on track with developing a healthy body image. What does it mean to have a healthy body image? You don’t have to have full lips, bulging biceps, long legs - or any other specific physical traits for that matter - to have a healthy body image. It ISN’T about what you look like from the outside, it’s how you FEEL about the way you look. Changing your body image starts with changing the way you think and feel about yourself. If you can change how you feel on the inside, it’s likely to change how you think of yourself on the outside. Learn to appreciate and respect your body for all that it can do. Your body is amazing! Focus on the many positive things your body does every day – such as laughing, breathing and thinking! Listen to the messages that the media is giving you – avoid ones that say you need to change or that just focus on appearance. Understand you are much more than how you look, so pay attention to other things in your life. Try not to compare yourself to unrealistic images in the media. Learn about advertising and how it affects us. Do things that you enjoy, that make you feel great or that you are good at. Surround yourself with positive people who accept and appreciate their bodies. It will encourage you to do the same. Catch those thoughts telling you negative things about your body and replace them with positive ones. Build yourself up with some positive affirmations. Look at yourself as a whole person. Appreciate qualities other than appearance. Write a list of your positive qualities and read it often. Add to it when you discover more things you like about yourself! Remember that your body is unique. Your differences give you style and personality. “Stop hating yourself for everything you aren’t. Start loving yourself for everything you are” – Author Unknown. You don’t have to be perfect - you just have to be YOU! It’s about accepting and loving your body just the way it is. It can take some time and practice to do just that! So if you need some support along the way, you can always give us a call, start a WebChat or send us an email.